With Stephen Curry’s popularity among NBA fans reaching DEFCON levels, his signature shoe line has been a major driver of Under Armour’s emergence as a real competitor to Nike in the basketball market. The Curry 1 debuted with a slow burn of fanfare from both casual wearers and competitive hoopers, and the Curry 2 dropped late last year to almost universally positive reactions. 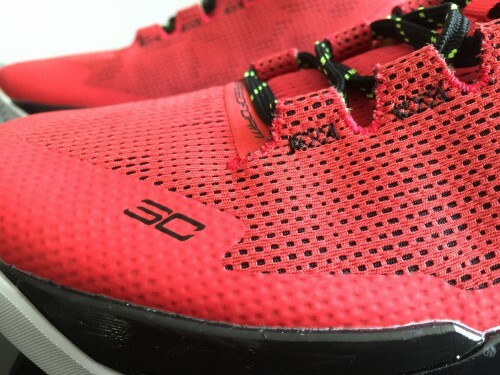 While they aren’t tricked out with technology, the shoes’ clean designs lend themselves to great colorways, and an accessible price point combines with Micro G/Charged cushioning and vise-like lockdown to make each of the first two Curry shoes into excellent on-court performers. 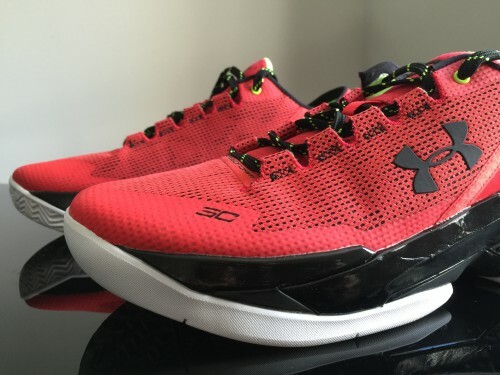 Because the Curry 2 was heavily covered in its mid-top form, I waited for the Low version to drop in early February. I’m a fan of lows and was looking forward to giving these a thorough breakdown. And while the shoe certainly has aspects that a guard like myself can appreciate, it has an undeniably fatal flaw that makes it tough to recommend. I went with my true to size 11.5 in these, rather than my preferred 11 in my on-court shoes. 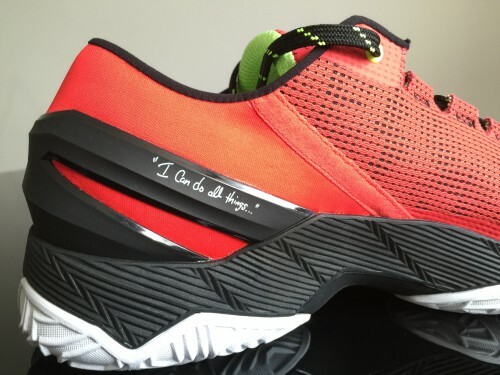 In the case of the Curry 2 Low, this forced me to make compromises that really affected how I felt with these on court. The toebox is very tight and narrow – normally not a problem for me – but I just couldn’t see playing in an 11 with the toebox already feeling too tight and uncomfortable in store. 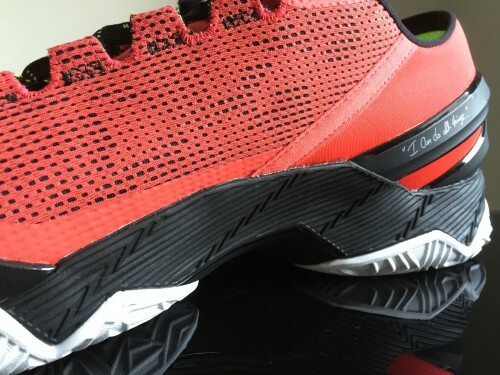 The Curry 2 Low uses a Speedform upper for 2/3 of the shoe much like it’s mid-top predecessor. The Speedform here is thin and conforms well to the foot, but you can feel the tensile strength and its reluctance to stretch thanks to an extra layer of construction. It’s a nice example of a reduction in materials while still retaining its containment and support abilities. An additional synthetic layer is found at the toe and along the forefoot. The midsole also extends up the lateral side of the midfoot while the medial side also extends up high to provide additional support. The rear 1/3 of the shoe uses Speedform as you’ve seen it in UA running shoes and that’s where the serious problem comes in. It’s basically neoprene – Speedform was born in a bra factory – with a low slung external heel counter. The collar of the shoe is extremely low cut as it is, but the heel counter doesn’t extend up high enough to give the heel full lockdown (side note: the heel counter is gorgeous). With no additional interior padding or Achilles notch to aid with the lockdown, you get a very slippery heel fit. In a low top especially, that is absolute disaster. The poor heel fit made me very nervous in full-speed game situations. A few specific movements stand out as dangerous in my mind: curling a screen into a jumper, going from lateral slides to sprints, and one spin move in transition were pretty precarious. I definitely felt slippage in all directions, which basically means the heel area was just not able to contain my foot. If you have a wider foot that takes up more volume in the heel area, these may work but I couldn’t deal with the heel slip. 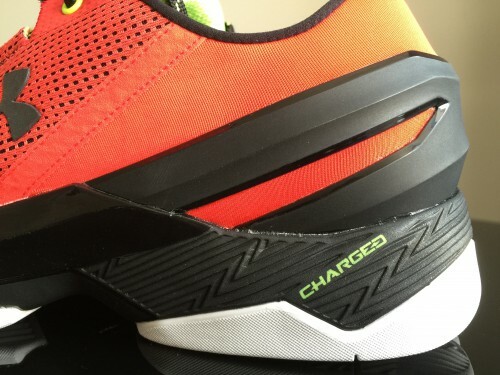 The Curry 2 Low uses a notched eyestay lacing setup, which I love. Through the first four eyelets, they lace up very tight and forefoot lockdown is just fine. But that top eyelet, the crucial one for heel and ankle lockdown, simply can’t be pulled tight enough because the heel area is too stretchy. Again I had not issues in the forefoot, but the lack of lockdown in the heel area compromised the rest of the shoe. As I tried on the 11 and 11.5 at the same time, the 11 did feel much better in the heel. But I don’t see very many players being able to go down a half size to possibly get better lockdown because that toebox is so tight. The heel area simply doesn’t inspire confidence and in fact takes away some focus from the game you’re playing. Now that the disappointing part of the Curry 2 Low is out of the way, I felt pretty good about the rest of it. The transition is very good, especially for a decoupled heel and toe outsole. The large TPU plate provides plenty of support underneath but the transition is still good once you get through a slight break in period. It’s a good combo from a performance standpoint. 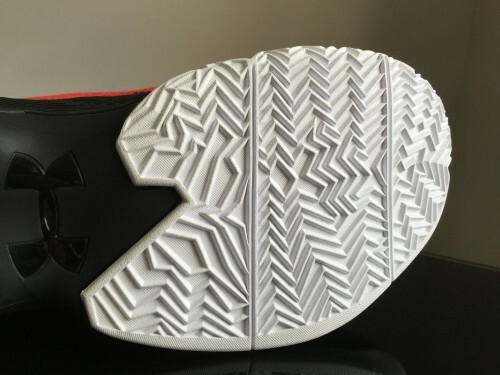 You get full length Charged foam for the midsole and it’s a step up from the version found in the Curry 1. It’s still firmer than pure Micro G, but I think the impact protection and responsiveness has improved. In the Curry 1, I felt the Charged foam was great right away but quickly became too firm and eventually had a harsh bottomed-out feel like a lot of Lunar foam setups (I still thought the Curry 1 was one of the best shoes of last year). In the Curry 2 Low, you get great court feel and stability (from the midsole anyway – the upper pretty much ruins that) and responsiveness is adequate. A forefoot outrigger helps in the lateral stability department although again, the upper doesn’t make things any better. Charged foam is a good all-around compound. It’s not as responsive as Boost or Micro G, but it is more firm and feels closer to the floor. It gives a consistent feel from heel to toe and speaking from a purely personal perspective, I really like it. The TPU plate is much appreciated and adds to the support underneath. The heel is also split, so you get good contact in every direction. 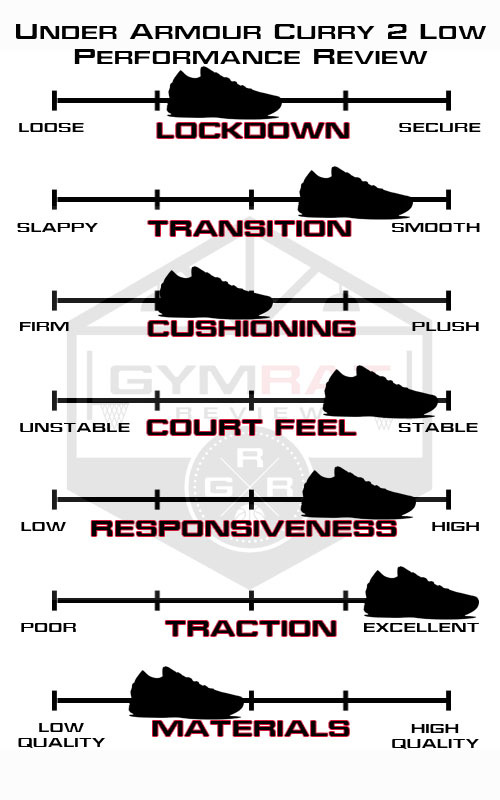 All around, the cushioning platform combines some excellent elements in each of the areas I focus on: court feel and midsole stability is fantastic, responsiveness is good, and it falls on the firm side of the cushioning scale but is (subjectively) very good. It’s called organic herringbone by the marketers at UA and it simply works. You get the reassuring squeak and you get great traction in all directions on any movement you can think of on a basketball floor. The grooves are deeper than many shoes I’ve recently tested and the thinner blades don’t attract any dust. 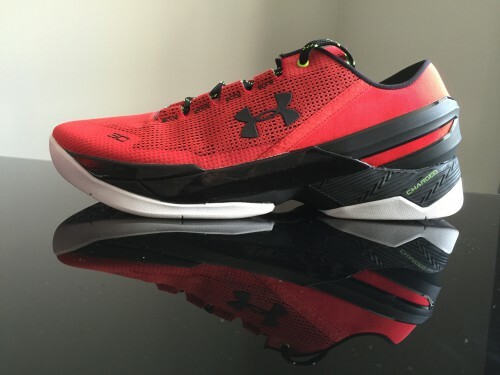 Good courts, bad courts, even a weird tile-ish surface in one league – the Curry 2 Low is great on all of them. 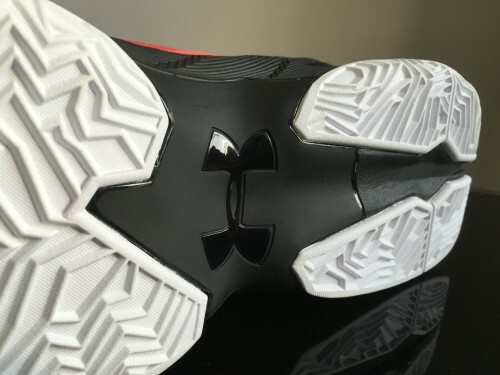 The traction setup saves the poor heel fit from making the shoe truly dangerous on court. I like the feel that Speedform provides – basically a one to one fit all around. 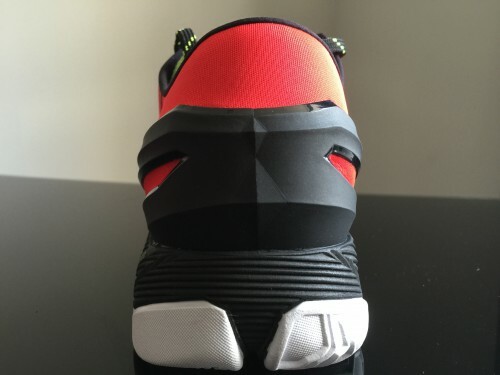 However the aforementioned heel area just does not use Speedform the right way. It can’t provide the necessary support and adding additional layers like the forefoot Speedform would have solved that, in my opinion. The synthetic overlay meant to protect the toebox also gets scuffed and torn up very quickly – not a good sign this soon. As a fan of Curry’s beautiful brand of basketball and a fan of low top shoes, I was admittedly pretty pumped to give these a run. But the heel fit and the fact that I was consciously worrying about my ankles during the game make it difficult for me to recommend or to even continue playing in these. Like I said above, the cushioning, forefoot fit, traction, and pretty much every other aspect was great – it’s a beautiful silhouette and design too. If you have a wider foot these may work for you, but the lack of security is a deal-breaker for me and I’m not trying to roll any ankles with a new league starting up. I’ll probably end up snagging the mids on sale or reviewing the 2.5 when it drops. Waiting for the video review! Echo my sentiments exactly about the low. You’d love the mid. The footage and everything is shot, but my cheap video editor can’t handle the files. Now trying to decide whether to send it to the videographer for editing or just buy Adobe final cut haha. I have my eye on the 2.5s for sure, I need to try the mids one way or another. Haha I’m sure it will come out great. I’m passing on the 2.5 (just don’t like the look and love the 2).